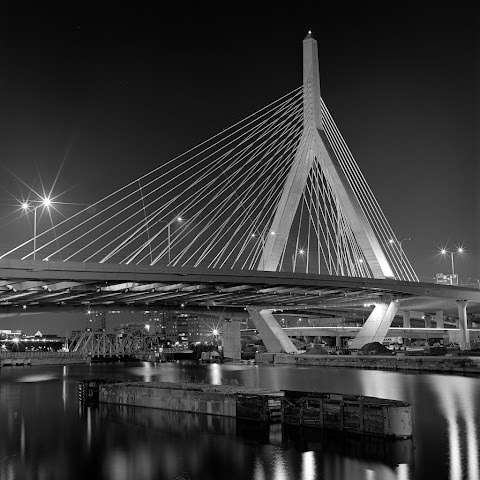 Zakim Bridge at night, seen from the locks a few weeks ago. It really reminds me of the Cable-stayed Bridge in my hometown Riga, Latvia. I walk past Zakim every day but it looks way more impressive at night.